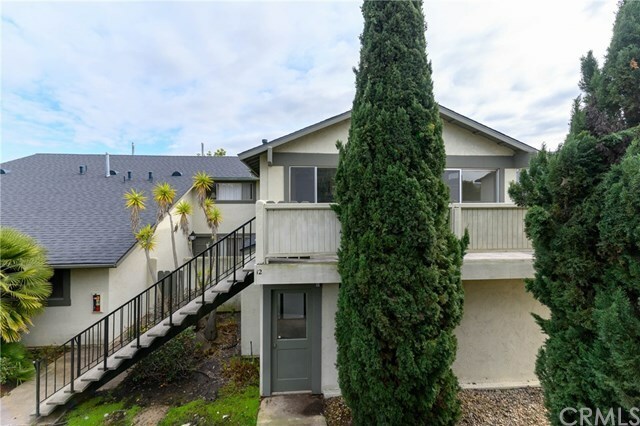 Turnkey 3 bedroom/2 bathroom condo with large private deck in the desirable La Canada Village community in San Luis Obispo. Recently remodeled with hardwood floors, granite counter tops, fresh paint, and brand new stainless steel appliances, this top-of-the-line unit wonât last long! Community washer and dryer conveniently located and shared by 4 units. HOA fee covers grounds maintenance, beautiful pool, water, sewer, and trash. Relax in the community swimming pool, or take advantage of the nearby hiking trails, shopping, and restaurants. Come take a look! Directions: LOVR to Prefumo Cyn Rd. Turn right into La Canada Village.